Since we are looking at the actual rendering in this part. It is important to understand what we are actually rendering. We have seen that in the previous part of this tutorial. A Model is made up of nodes, which them selves are made up of node-parts. A NodePart is the smallest part of Model that contains all information about how it should be rendered. It contains a MeshPart, which describes what (the shape) should be rendered and it contains a Material which describes how it should be rendered. Make sure to keep that in mind while reading through this part of the tutorial. We create a ModelLoader, which we have seen earlier in Loading models using libGDX. 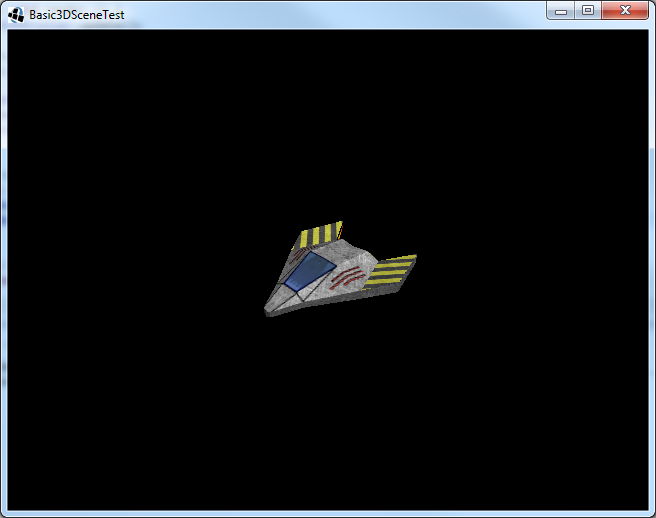 But instead of the ObjLoader we used earlier we now create a G3dModelLoader. We construct it with a JsonReader as argument, because the file format of the invaderscene.g3dj is json. For a g3db file you can use UBJsonReader. Next we load the ModelData. The ModelData class contains the raw model data. It's basically an one on one representation of the file format we've seen in the previous part. It doesn't contain any resources. It simply contains an array of floats and shorts instead of a Mesh and for textures it simply contains the filename instead of the actual textures. So at this stage you can do with the data whatever you like, without even having to think about the Model class or any resources. Finally on the last line of the create() method we construct the Model using the ModelData we just loaded. We also add a TextureProvider as argument, which will load the textures as internal files. You can implement the TextureProvider interface if you would like more control over loading the textures. If you use AssetManager to load the Model, then AssetManager is also used to load the textures. Now the Model and it's resources like the meshes and textures are loaded, the Model is also responsible for disposing them. On the first line we fetch the block1 node of the model, which we know is in there, fetch its first node-part and get its material. We've seen in the previous part that this is a reference to the "block_default1" material, which is shared amongst all block nodes. So changing it, will change the material of all blocks. On the second line we fetch the Diffuse ColorAttribute of the material, which we also know is in there. And finally we set the color of the attribute to yellow. Same result, but instead we now access the material directly by it's ID. And we don't fetch the current diffuse color, we just set it. So if the material doesn't have a diffuse color it is added, otherwise it is overwritten. Instead of getting the material through the node or by it's ID (which is also possible) we now simply get the first material, because the ModelInstance only has one material attached to it. Previously we have seen the structure of the Model class by inspecting the G3DJ file. Now take a look at the ModelInstance class. Just like Model it contains a materials, nodes and animations array. These are copied from the model when constructing the ModelInstance, allowing you to alter them without affecting other ModelInstances of the same Model. When you specify a node ID when creating the ModelInstance, only the materials and animations are copied that affect that node. Therefor, like we did with the block ModelInstance, we know that the first material will always affect the specified block node. Note that unlike the Model class, the ModelInstance doesn't have a Mesh and MeshPart array. These are not copied, but instead referenced through the Node (NodePart). So meshes are still shared amongst multiple model instances. This is also true for any textures the materials might contain. The model field in the ModelInstance class is a reference to the Model it is created from. The transform field represents the position, rotation and scale of this particular ModelInstance. We've seen that before in the loading a scene tutorial. Note that this field is not final, meaning you can set it another Matrix4 reference if needed. Finally the userData field is a user definable value you can set to whatever you might need. For example, you can use this value to supply extra instructions to your shader (more on that soon). Here we load the invaderscene.g3dj just like before, but now we fetch the first NodePart of the ship Node. From that NodePart we create a Renderable, setting each value to the corresponding value of the NodePart. We also set the lights of the Renderable and make sure the worldTransform is set to identity meaning at position (0,0,0), not rotated and not scaled. We removed the ModelInstances, instead in the render method we now only provide the renderable to the ModelBatch. I've also set the camera a bit closer to the origin to get a better view. A ModelInstance is responsable for providing the renderables and ModelBatch is responsable for rendering those Renderable instances. But ModelBatch doesn't actually render them. Instead it sorts them so they are rendered in the most optimal order and then passes them to the renderable's shader. Note that if no shader is provided (or the provided shader is not suitable), the ModelBatch will create a Shader for us. It does that by asking a ShaderProvider for the required shader. We will not look further into that for now, but note that you can provide your own ShaderProvider when constructing the ModelBatch. So a Shader is responsible for rendering a Renderable. It does whatever it needs to do to render the provided Renderable. Unlike the name might suggest it can be an OpenGL ES 1.x shader. For OpenGL ES 2.0 it will encapsulate a ShaderProgram and set uniforms and attributes according to the specified Renderable. Here we removed the ModelBatch and added a RenderContext and Shader. A RenderContext keeps tracks of the OpenGL state to eliminate state switching between shader switches. For example, if a Texture is already bound, it doesn't need to be bound again. We construct the RenderContext with the DefaultTextureBinder which keeps track of which texture is bound to which texture unit and tries to eliminate texture binds by reusing texture units. Next we construct the shader as DefaultShader with the renderable as argument. Note that DefaultShader is an OpenGL ES 2.0 shader, so you must enable GLES20 for this to work. In the render method we call renderContex.begin() to make sure the context is in the initial state. Next we call shader.begin to instruct the shader to do whatever it needs to do to start rendering. This will set any global uniforms like the projection matrix etc. Then we render the renderable using the shader. And finally we call shader.end and renderContext.end to cleanup things. ModelInstance contains a copy of the nodes and materials of a Model. But it only references the resources of the Model like the meshes and textures. A ModelInstance creates Renderable instances for each NodePart it contains. Renderable is the smallest renderable part, which is passed through the rendering pipeline. ModelBatch gathers a Shader for each Renderable and sorts the renderables to make sure they are rendered in an optimal order. Shader is responsible for actual rendering a Renderable. Most commonly an application uses multiple shaders, where each shader is dedicated to a single ShaderProgram (GLSL program). 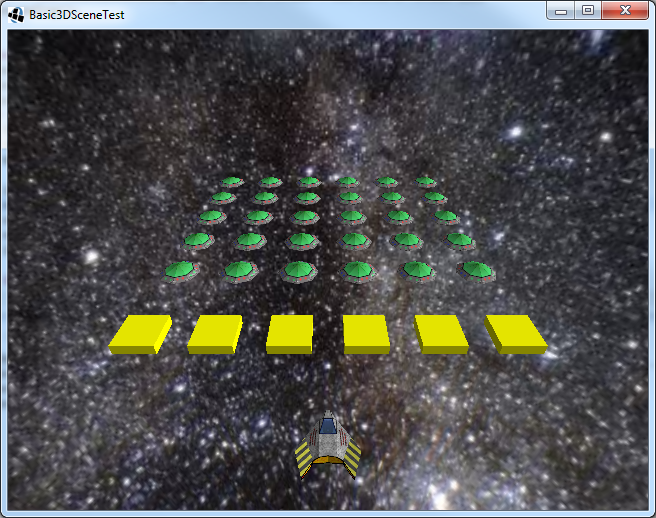 RenderContext is used to keep track of the OpenGL context, like which texture is currently bound.